Many young people in South Africa grow up in exceptionally difficult circumstances. Poverty and inequality often form the backdrop to a difficult and painful childhood marred by violence and abuse. According to a nationally representative study released by the University of Cape Town and the Centre for Justice and Crime Prevention in 2015, one in five (19.8%) young people reported having experienced some form of sexual abuse in their lifetimes. More than a third (34.4%) say they had been hit, beaten, kicked or physically hurt by an adult who was supposed to be taking care of them at some stage; one in six (16.1%) reported experiencing emotional abuse; while one in five (23.1%) had witnessed violence perpetrated by an adult caregiver against a sibling or another adult in their homes. Resilience – the ability to ‘bounce back’ from difficult experiences – has been much researched internationally and locally – and with good reason.Theron, L. C. & Theron A. M. C. 2010. A critical review of studies of South African youth resilience, 1990-2008. Access here. Faced with the harsh realities of the South African social landscape, it is helpful to know what can soften the blows. Resilience studies provide hope that young people can still do well in life regardless of situations that are not conducive to good life outcomes. However, it is important to remember that resilience is a coping mechanism, not an answer to poverty and inequality. We must still keep working on the solutions. Real change is a long-term process. 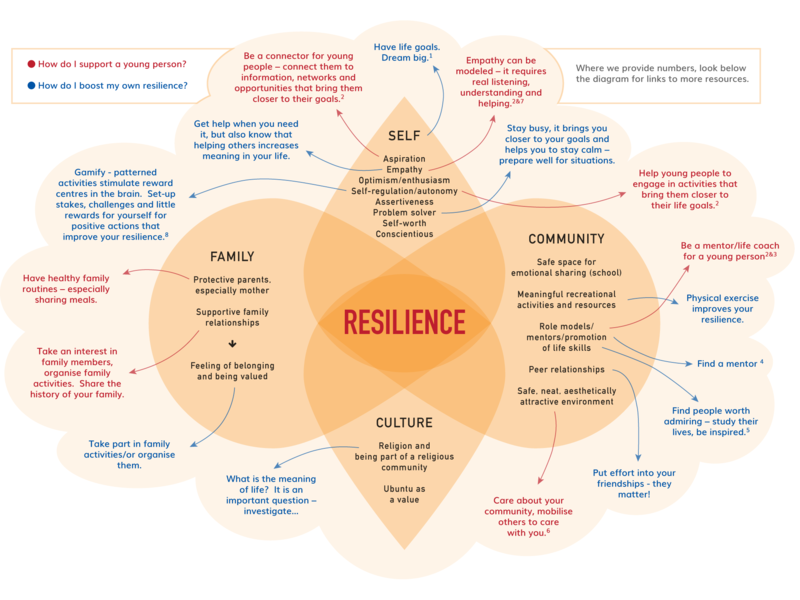 How can we support the resilience of young people in the meanwhile and, if you are a young person, how can you boost your own emotional resilience? There has been a tendency to think about resilience as a personality trait, but research has shown that resilience is a process that relies on protective factors within the individual, family, community and culture. The following diagram highlights such factors based on research across 23 resilience studies conducted in South Africa.Theron, L. C. & Theron A. M. C. 2010. A critical review of studies of South African youth resilience, 1990-2008. Access here. We have included ideas to further help boost them (linked to additional resources below the diagram). Perhaps you can think of more? Have a look at the award winning resilience building digital game SuperBetter. 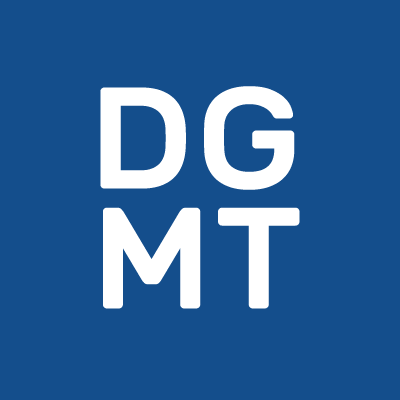 It is completely free and available in a web-based version, or the mobile version can be downloaded in the App and Android stores. 1, 2. ⇧ Theron, L. C. & Theron A. M. C. 2010. A critical review of studies of South African youth resilience, 1990-2008. Access here.